Research from Running USA shows that nearly 18 million people participated in United States' running events in 2015. * The same statistic was less than half of the participants just decade before, the number of runners has increased drastically. * As a result, a vast array of shoes and running wear is now in the market, and runners are passionate about choosing gear that aid in their running. 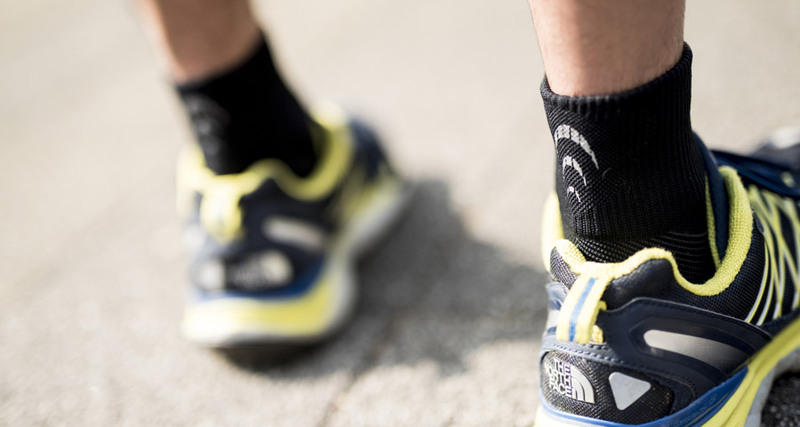 Many put a lot of effort in choosing running shoes, but what about socks? As a matter of fact, wearing optimal and functional socks is effective in boosting running performance. Let's have a look at running socks, the unsung heroes of running gear. Shoes and Tights Aren't The Only Essential Running Gear. Socks Are Important Too! For good health, for feeling revitalized, for athletic training. 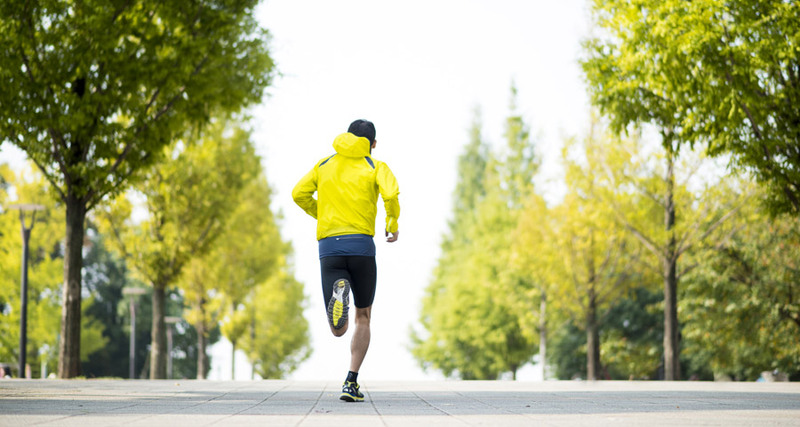 There are various reasons why people run, and those who enjoy running outdoors are increasing. Running is the most accessible exercise – as long as you have running shoes, anyone can take up the sport, and anyone can run anywhere, anytime. If you decide to take up running, the first thing you need to do is to choose shoes that are perfect for you. Shoes support a runner's feet, and they prevent injuries. They have a great impact on one's form, so it's something that runners, especially beginners, must choose properly. Compression tights are also becoming more common. More people wear them for reducing fatigue, preventing injuries, and improving performance. 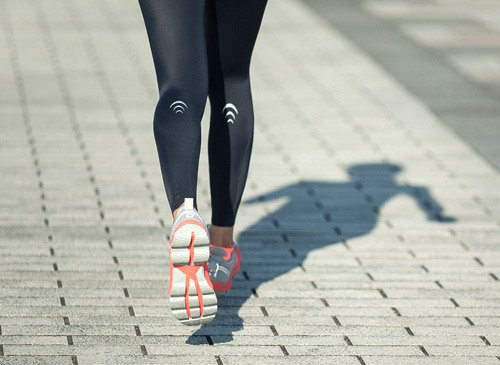 But what's really grabbing runners' attention now are functional socks. Socks aren't that visible and are often ignored compared to other gear. However, running socks equipped with various functions are now readily available. Such socks are now in the spotlight, carrying with them expectations on their effect on one's running. So what exactly are the functions of running socks? Several brands have released various types, but the following are their typical functions and effects. Running socks include arch support socks that raise the plantar arch, and ankle support socks that protect the Achilles tendons from chafing and impact. The plantar arch itself absorbs impact, but after running a certain distance, the arch drops, and many people experience discomfort or pain on the sole of the foot when this happens. A shoe's insole is also effective in supporting the plantar arch, but socks directly support the arch and the muscles. In addition, an effect of stabilizing the ankle during the run by ankle support can also lead to prevent injuries. The sole of the foot tends to get sweaty even while doing daily activities. When the salt in sweat and sebum on the skin mix, they produce a stickiness that not only feels uncomfortable - this also leaves the foot damp, which allows blisters to form easily. The feet are already prone to dampness to begin with, so socks made of materials that have high breathability, excellent moisture absorption, and quick drying properties play an active role during exercise. These functions are especially necessary during long runs, hot and rainy days. 3. 5 Fingers / Left and Right Exclusive Foot Construction, Etc. Socks that are designed specifically for left and right foot construction are also becoming more widely available. These socks provide an even better fit because they are constructed in a way that matches them to the shape of each foot. Speaking of socks tailored to the left and right foot, five finger socks or toe socks have also become very common. They are worn to deal with athlete's foot, for health reasons, and even for daily use. Separating the toes have several benefits: it prevents dampness, and it acts as a countermeasure against bunions and flat feet. These socks allow easy planting of the feet on the ground because it's easy to put pressure on the toes. These socks are also effective in preventing blisters because the sock envelops each toe, wicking away moisture that forms in between fingers. Here are some points to consider when choosing running socks. Because running socks have various functions, shapes, and materials, it is important to choose a pair that's perfect for you. Broadly speaking, there are three types of sock lengths: ankle, regular, and high. Ankle-length socks are the shortest. They come right just above the ankle, providing a neat cover that pairs perfectly with running tights. Regular-length socks come up to the part just below the calves, completely covering the ankles and providing support. High-length socks cover the calves, and some have compression properties. Socks also come in various thicknesses – from lightweight to thick. Thin, lightweight socks come closest to the feeling of bare feet. Many people choose these socks because they make it easier for the feet to bounce off from the ground, but one advantage of thick socks is their cushioning function that softens impact. Socks can be made out of natural materials such as wool, synthetic fibers such as polyester, and both natural and synthetic materials. Each kind has its own features. For example, polyester wicks sweat away from the body and dries quickly. Wool has moisture absorbing and releasing properties, and it is also said to be odor-resistant. It also feels nice and soft on the skin. Generally, toe shapes fall into the regular kind with a round toe, and the five-finger or toe sock type. As mentioned above, separating the toes allows them to grasp the ground properly, makes it easy for the feet to bounce off from the ground, and helps prevent blisters. Our featured sock is our "Arch Support Short Socks." Its greatest attribute is its taping effect that three-dimensionally supports the arches of the sole of the foot. There are three arches, namely, the medial longitudinal arch, the lateral longitudinal arch, and the transverse arch. These arches help the body maintain its balance, and they also lessen impact on the body. If tired muscles stiffen while running, the arches breakdown, and they cannot completely absorb the impact of landing. This place a huge burden on the knees and on the back. C3fit's unique structure supports all three arches, and prevents problems by reducing the breakdown of the arch. In addition, we have made every effort to produce highly comfortable and durable socks. The inner part of the toe and heel of our socks use pile which has high-cushioning properties, the part covering the Achilles tendon is also cushioned to protect from the shoe, and the tip of the toe is made of very strong yarn. Other versions of our arch support socks include high socks that are equipped with graduated compression on the calves, and quarter-length ankle socks. Choose from our range of socks to match your tastes and needs, for a more comfortable run.